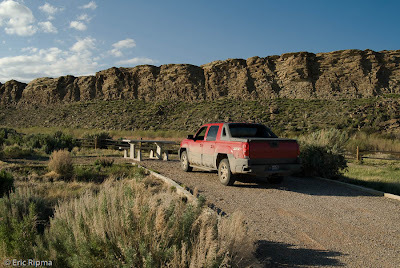 After about 10 days of doing work in the sage and grassland areas of Wyoming I am very ready to head to the mountains. I still have about 6 or 7 days in sage habitat. 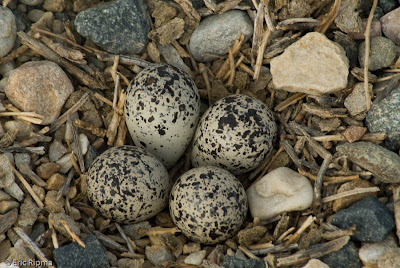 There are many great birds in the grassland and sage habitats in Wyoming but the mountains are a much bigger draw. I birded north of Seminoe Reservoir in a riparian zone after working one day and found many MacGillivray's Warblers, Green-tailed Towhees, and Broad-tailed Hummingbirds. One of the hummingbirds was checking out my red truck and eventually came to hover around my head. Watching a Broad-tailed at about a foot is a very cool expecience. 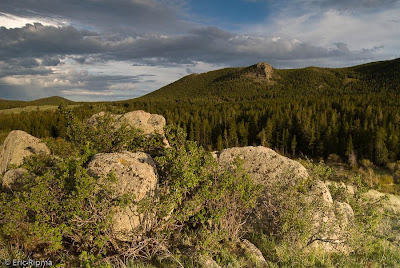 This is one of my campsites in sage country. There were Say's Phoebes, both Eagles, and White-throated Swifts among many species close by. I then headed to the town of Medicine Bow for a couple of mornings of work in that area. I camped at a lake just south of town that had many birds including my first ever Clark's Grebe and many species of waterfowl. I also was able to photograph an American Avocet and saw them doing there mating display where they cross bills and the male puts his wing around the female. It was very interesting to watch. 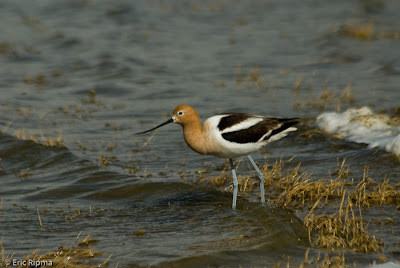 One of the many Avocets that were at East Allen Lake just south of Medicine Bow. After a couple days in that area I have now headed to some areas east of Laramie. I decided to camp in the mountains so I could see some trees and different birds. I hiked out of camp for about a mile and found many birds including Olive-sided Flycatcher, Red-naped Sapsucker, and Mountain Chickadee. The highlight though was seeing one moose. From my campsite you can always hear Ruby-crowned Kinglets and Red Crossbills and Pine Siskins fly over consistently. A view from about a mile away from my campsite in Medicine Bow National Forest.